Economics are driving operators and manufacturers to come up with better ways of keeping their oldest aircraft flying safely and efficiently. There is often a feeling in the industry that the the aircraft aging problem primarily deals with determining when an aircraft or component has reached the point in its life at which it is no longer safe or cost-effective. Specialists in the area argue that it is more complex than that. The issues of aging aircraft range from both chronological and fatigue aging in older aircraft to developing ways to ensure that airframes and components built today last longer and remain more effective than their predecessors. Lean economic times have combined with the price of new aircraft to make palatable inspection, repair and overhaul options that previously were considered too pricey. Helicopter operators and manufacturers are tackling these issues in a number of ways. Some are using the Internet’s easy information exchange to collect data on problems and disseminate details of fixes to them. Others are carefully monitoring the utilization of older aircraft to better judge how many hard-to-find spare parts will be needed in the future to keep them flying. Still others are using lessons learned from their oldest aircraft to develop fixes and incorporate them in new-production ones. A few are opting to basically rebuilt their oldest aircraft to extend their service lives. Needless to say, manufacturers are eager to get the word out on solutions to aging problems, particularly on their own aircraft. MD Helicopters recently set up a website that “allows knowledge to flow both ways,” said John Hobby,ï¿½ the Mesa, Arizona-based manufacturer’s acting director for customer support. The company works with the FAA, NTSB, foreign agencies and industry to discuss common problems and applications. Information relative to MD-series helicopters is then used to update the manuals and put on the website. With large numbers of older MD helicopters operating overseas, the availability of manuals on the website “is pretty important,” Hobby said. Use of the website to disseminate the latest information on older helicopters ensures that the manuals are current and readily available, he said. A key area of concern with aging aircraft is parts management–helping users locate spares that have become obsolete, are no longer being made by the original equipment manufacturers because the primary component is no longer in production, or are more advantageously obtained through a third-party source such as a PMA–company which makes parts under a Parts Manufacturing Authority from the FAA. The need for parts not available from OEMs opened the door for PMA manufacturers, and for some years this was their primary reason for existence, according to Larry Shiembob, president of EXTEX, a PMA supplier of parts for the Rolls-Royce C250 engine. However, the role of PMA manufacturers has evolved over time, and today companies like EXTEX have expanded their focus by providing parts that are often better engineered, better built, with lower prices, and backed by better service than OEMs. Many OEMs do continue to support their older model helicopters. 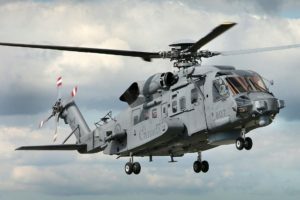 Eurocopter, with some of the oldest helicopters still in service, said that it supports 10—12 models that have been out of production for 15—20 years. As the Lama and Alouette illustrate, both airframes and components are going beyond their original design lives, outliving not only the plan of their designers but also their own supply chains and logistical networks, said David Kayser, a component engineer for the Aging Aircraft Integrated Product Team in the U.S. Navy’s Naval Air Systems Command, or NAVAIR. Finding spares and components that are no longer stocked by the original equipment manufacturers is becoming a major issue for what some call “legacy” aircraft. Providing guidance to OEMs and PMAs on current and future needs for parts is one role of the Joint Council on Aging Aircraft, of which NAVAIR’s aging aircraft team is a part. The council also works with aftermarket suppliers to find and provide obsolete parts, said Bob Ernst, head of the NAVAIR team. A major part of this effort is to help both the manufacturers and the users to save money. “We help determine if future production and or a redesign is cost effective,” he said. Originally set up in early 2001 by the Navy, U.S. Air Force and U.S. Defense Logistics Agency as the focal point for military aging aircraft issues, the joint council was later expanded. It now includes all the military services, the U.S. Coast Guard, the FAA and NASA, as well as the Aerospace Industries Assn. and the National Defense Industries Assn. Participants in the council are tasked with resolving problems of mutual concern. Its working groups involve five main areas–avionics, corrosion, wiring, dynamic components and structures. The council could have just as easily called itself the Aging Aircraft Resource Program. Like the real AARP (formerly known as the American Assn. of Retired Persons), it is a resource center on issues involving aging airframes and components and a hub for disseminating information on problems being studied and those have been resolved. 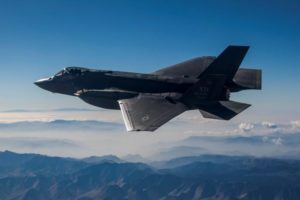 “If the Air Force resolves a problem it is having with its aircraft, it doesn’t do much good” to other users of that type aircraft “if they don’t get the word out,” Ernst said. 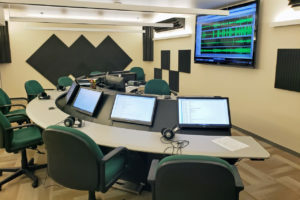 One of the joint council’s mandates is to determine trends in aging components and spares and determine how much effort is required to maintain readiness. “It’s a matter of how to best manage the overall system,” Ernst said. A component may have to be redesigned to meet the changing need of the system. This lets users coordinate methodology on the costs of aging. Factors that determine costs can be focused so decision makers can make judge what to upgrade and what to retire. The Phoenix Police Department has had to confront that problem. It decided that upgrades are a more effective option that retirements. The department’s Air Support division is currently totally refurbishing seven of its nine MD—520Ns. The aircraft are being refurbished in order to extend their service life by 50 percent. The remaining two were newly purchased last year. The Phoenix Police MD—520Ns have 10,000—12,000 hr. At 10,000 hr. the aircraft start to require a lot of unscheduled maintenance, according to Brad Nelson, the Air Support dividsion’s chief of maintenance. Many problems can be resolved through periodic inspections, but this tend to remove the aircraft from service for unacceptable periods of time. As a result, the aircraft are being taken down to the bare fuselage and totally rebuilt, to include brand new, zero-time engines. Cost of the refurbishment is $500,000—600,000, “less than half the cost of a new aircraft,” with a brand new MD-520N costing about $1.5 million, he said. The Phoenix police put about 1,000 hr. a year on each helicopter, so the plan is for them to be flown for roughly five more years before the department starts looking at new aircraft, he said. Wiring is now one of the prime areas of concern in aging aircraft, and a major study for improvement for future aircraft. Older aircraft have wiring bundles that are heavy, tend to crack and/or fray over time and are often difficult to access for maintenance. This is particularly true in aircraft electrical systems, or what the JCAA has dubbed “paleotronics,” the study of ancient and primitive avionics. With the rapid advancement of avionics technology, a helicopter can be only a few years old and still have an avionics suite several generations behind the state of the art. With continual upgrades of warfighting avionics packages, the problem is acute for the military. But civil operators also are experiencing rapid improvements in communication and navigational equipment. The problems with older avionics can be performance degradation, such as display resolution or computer power, or difficulty in getting replacement parts. Newer avionics are designed to interface with similar-generation devices. Older avionics can be overwhelmed by the shear amount of data beamed into them. The Army’s CH-47 Chinook is one older aircraft type undergoing avionics and wiring systems overhauls. Its analog systems with massive, complex wiring bundles are vulnerable both to old age and combat damage. The CH-47 was developed as part of the same program that produced the UH-1 Huey in the late 1950s. The latest versions, the CH-47F and G models, are being introduced now. As an example of lessons learned from the older models, the F and G have the 1553 data bus that allows a fully digitized, open architecture cockpit. The new system is modular, so avionics can be removed or added as needed. It also significantly greater capacity, allowing better throughput of data to help increase the situational awareness of the crew. The number of wire bundles running through the aircraft has been reduced greatly, as has the need to scatter avionics throughout the aircraft as the system is upgraded or its older components are replaced. One effort of the Joint Council on Aging Aircraft is aimed at determining and standardizing the percentage of power loss at which wiring must be repaired or replaced. Inspection times for wiring must be reduced, operations and maintenance specialists agree, aircraft availability must be improved, and removals based on false fault readings must be cut. “Roughly 15% of electrical components are removed falsely,” the Navy’s Ernst said. The crashes of TWA Flight 800 and Swissair Flight 111 in the late 1990s, each suspected to be the result of faulty wiring, helped focus aviation’s attention on the issue. One result has been the development of arc fault circuit breakers for aviation applications. Common in building construction, these devices were unheard of on aircraft. 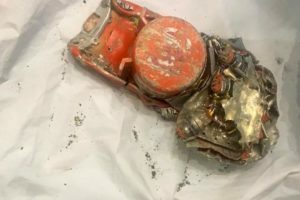 Designed to replace older mechanical circuit breakers intended to protect circuits against overloads, the new devices do that but also trip at a sign of arcing, which is now understood to be a key precursor of in-flight electrical fires. A group from the Navy’s aging aircraft team led by Chuck Singer has developed a micro-electrical/mechanical circuit breaker that can detect the beginning of an arc and shut down a circuit. Another area of concern for aging aircraft is in dynamic components, which can produce fatigue stress on airframes and components. The CH-47 again is a classic example of lessons learned. Early model Chinooks had continuous hydraulic tubing running throughout them. Leakage was so bad many crews carried 55-gal. drums to replace hydraulic fluid lost in flight. For the CH-47D, the tubing was replaced with a coupling system that reduced leakage and allowed modular replacement of worn sections. This is being carried over to the F and G models. The new models also have is a vibration-reduction system. The Chinook had a “three per rotation” harmonic vibration, caused by its three-bladed rotors. This caused cracking in areas around the doors and pylons near the ramp. It also reduced the service life of avionics bolted to frames absorbing vibration shocks. Boeing is now introducing pendulum absorbers and active vibration-suppression systems to counter the harmonic vibrations. It is also stiffening fuselage areas that had been absorbing the most shock. Manaing the aging process also has environmental costs, such as in stripping and painting aircraft. The Navy has won a small, but significant victory in regard to painting to prevent corrosion. Working with industry, it developed a system for spot-painting aircraft that eliminates hours of down time, saves thousands of dollars and reduces environmental hazards. Normally, painting even small areas of an aircraft requires mixing a large batch of two-component paint. The aircraft must be brought into a paint hangar and anyone dealing with it must wear protective clothing and masks. Excess paint requires proper disposed. NAVAIR’s chemical engineers, working with industry and the aging aircraft team, developed the SemPen, a small device designed to store, mix and apply just the required amount of corrosion-prevention base paint, followed by a top coat. The SemPen, made by Glendale, California-based PRC-DeSoto, looks and acts much like the small, twin tubes used to dispense epoxy glue. Dave Pulley, a chemical engineer with the NAVAIR’s Organic Coatings Lab, said great cost savings are achieved doing small, spot repairs where current repair methods typically are wasteful and require hazmat disposal. Safety Watch: VFR vs. IFR — No Way Out?